Need to pack an extra bag for that trip to Milan or Milwaukee, just in case? 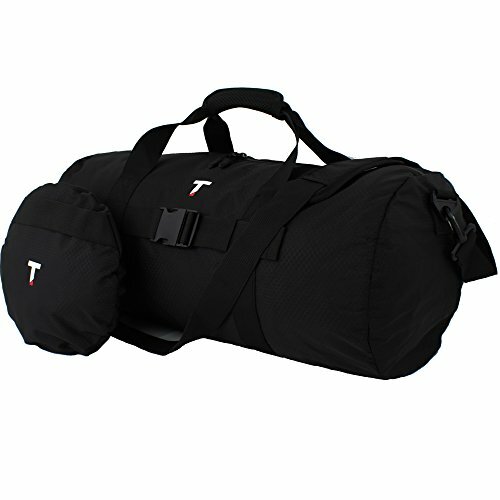 It's a cinch with the Taskin Disq Duffel. This smart, stylish duffel is made of super-tough, honeycomb nylon so it's ready for anything. Disq is constructed using high quality honeycomb rip-stop nylon and waterproof zippers. Plus: It folds down tight into an easy-pack disk that packs neatly into a pocket on one end of its carry bag. Disq's tough and water/odor resistant construction makes it well suited for a small gym bag. Taskin is a young startup based in San Francisco that loves travel and stylish gear. Time to combine the two and make something amazing! We love what we do. COMPACT: It folds down tight into an easy-pack disk that packs neatly into a pocket on one end of its carry bag. If you have any questions about this product by Taskin, contact us by completing and submitting the form below. If you are looking for a specif part number, please include it with your message.